Life insurance is an expression of love and caring...it's for the living. The main purpose of any life insurance policy is to protect your family and loved ones against the risk of financial uncertainty. 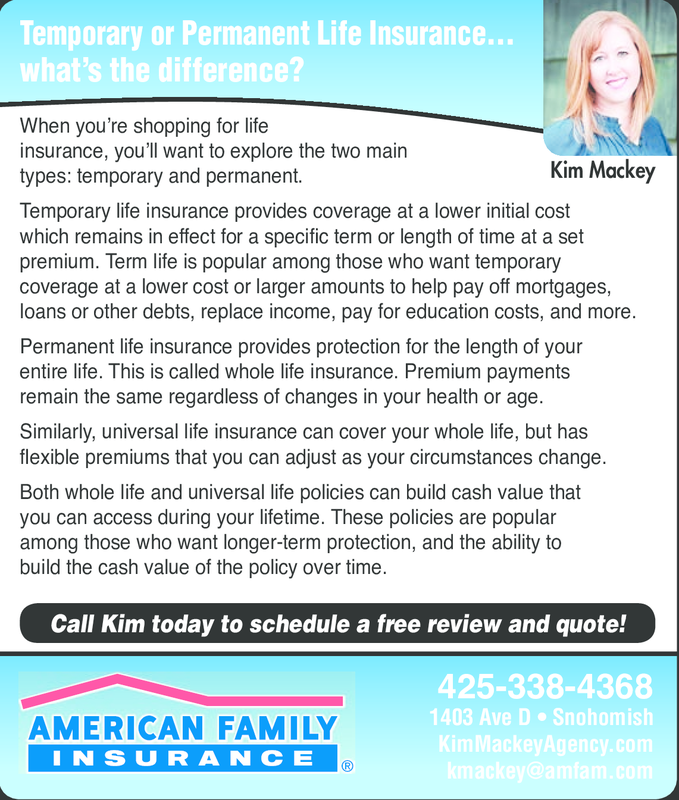 Call Kim today to schedule a free review and quote!